A curtain wall is a thin, usually aluminum-framed wall, containing infilled with glass, metal panels, or thin stone. The framing is attached to the building structure and does not carry the floor or roof loads of the building. The wind and gravity loads of a curtain wall are transferred to the buildings structure, typically at the floor line. 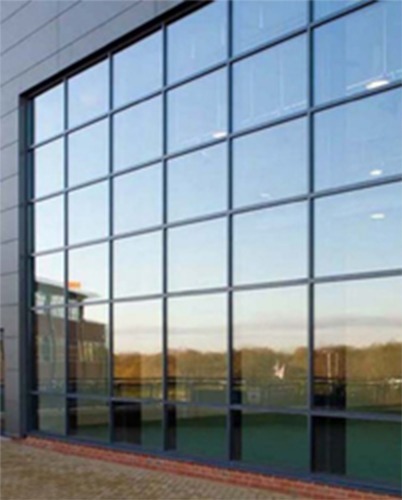 A curtain wall system is an external covering of a building in which the external dividers are non-basic, used to keep the climate out and the tenants in. Since the blind divider is non-load bearing, it can be made of lightweight materials, along these lines lessening development costs. When glass is utilized as the window ornament divider, leverage is that normal light can infiltrate further inside the building. The drapery wall facade does not convey any structural load from the building other than its own dead load weight. The divider exchanges lateral wind loads that are occurrence upon it to the primary building structure through associations at floors or sections of the building. A drapery divider is intended to oppose air and water penetration, ingest influence actuated by wind and seismic forces following up on the building, withstand wind loads, and bolster its own particular dead load weight powers. Window ornament divider frameworks are commonly planned with extruded aluminum framing individuals, despite the fact that the primary drape dividers were made with steel outlines. The aluminum outline is commonly infilled with glass, which gives a structurally satisfying working, and additionally advantages such as Daylighting. Notwithstanding, the impacts of light on visual solace and sun based warmth pick up in a building are more hard to control when utilizing a lot of glass infill. Other basic infills include: stone facade, metal panels, louvers, and operable windows or vents. 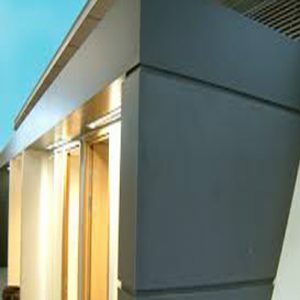 Blind dividers contrast from customer facing facade frameworks in that they are intended to traverse different floors, thinking about outline necessities, for example, warm extension and contraction; building sway and development; water preoccupation; and warm proficiency for practical warming, cooling, and lighting in the building.